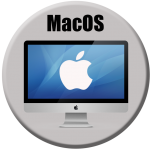 Mac Desktop Apps are highly suitable for more complex solutions. Just like iOS Apps, Mac Desktop Apps are simple to use, but also offer more possibilities due to the larger display and input devices such as Mouse, trackpad and keyboard. AppForce.One can deliver your Mac Desktop App on the Mac App Store, or make it available as an installer (.pkg) that can simply be downloaded. That way you can also create solutions available only for internal use or with controlled distribution. AppForce.One has a wide expience with developing Mac Desktop Apps. Specifically graphics related and more high-end applications are often running on Macs. Serving your customers with software that runs on their favourite operating system makes for happier customers. Using our cross Platform tools, some applications can be very easily ported from Mac to Windows, to support even more customers. Feel free to contact AppForce.One and discuss the many options available for Mac Desktop App development.